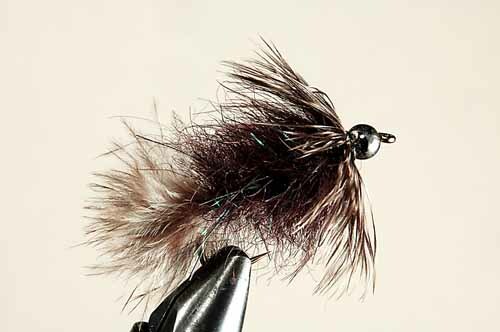 ...the Raccoon is Skip's standard choice for searun cutthroat, salmon and steelhead of the Pacific coast. 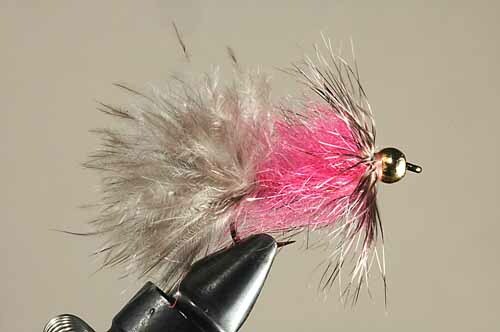 Feather-Craft Fly Fishing's on-line store now features Skip's flies. Feather-Craft is a big, well-established, reputable mail-order house. They are ready to take orders, so we've added a link to this page (and to the individual fly descriptions themselves) so that you can go straight to their site and order Skip's flies directly. 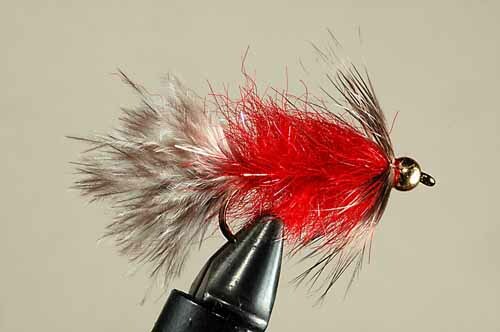 To find specific flies more easily at the Feather-Craft store, we've placed a link by each fly's description that will take you directly to that fly on Feather-Craft's site (see photos and descriptions of the flies below). and are tied by the Solitude Fly Company. The sample flies in the photographs below were tied by Solitude. 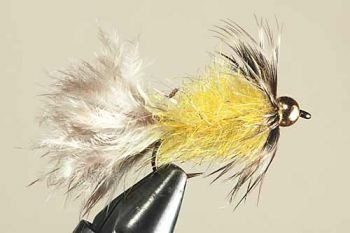 This is Skip's standard choice for searun cutthroat trout in both the rivers and salt water of the Pacific Coast—yellow is the standard, but the other colors are at times better. Salmon in saltwater are also quick to grab a Raccoon. More and more Raccoons are fished for steelhead. When silver salmon gather at river mouths to stage before running up to spawn, a Raccoon (for reasons no one understands) can often turn fish when nothing else will.